Haruki Murakami, a world-renowned Japanese novelist, said Japan needs to offer an “open-ended” apology for its wartime atrocities, according to a news report Friday. “Apology is not a shameful thing,” he said in an interview with Japan’s Kyodo News Service, adding that his country’s past invasion of other nations itself is a “fact,” regardless of disputes over details. 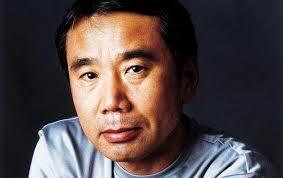 Murakami stressed the importance of history perception and sincere apology. His comments came amid growing concerns in South Korea, China and other nations over the Shinzo Abe administration’s attitude toward shared history and territorial standoffs. Many view the conservative leader as depending on nationalist sentiments for political purposes. In particular, Japan’s relations with South Korea and China have worsened since he returned to power in 2012. The international community is paying attention to his wordings on the history issue in a landmark speech he is set to make before the U.S. Congress late this month. Abe also plans to issue a major statement this summer to mark the 70th anniversary of the end of World War II. Murakami, arguably one of the world’s most popular cult novelists, pointed out that Northeast Asia is in a “big power shift” with the rise of China and South Korea. At the same time, he added, there are huge possibilities in the East Asian community such as the potential to emerge as a big quality market. That’s why related countries should resolve their history and territorial rows as early as possible, he was quoted as saying.